Audi has recently refreshed the R8 for the 2020 model year and added a new Decennium Special Editon model to commemorate the supercar's 10th anniversary. Although we've known about the new R8 and the Decennium Edition for several months, we haven't had any details regarding US pricing - until now. 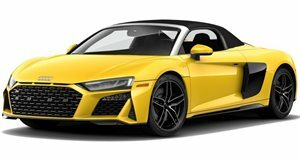 The 2020 R8 V10 coupe starts at $169,900 while the Spyder rings in at $182,100. Both are powered by a 5.2-liter V10 producing 562 horsepower and 406 lb-ft of torque enabling 0-60 times of 3.4 seconds for the coupe and 3.5 seconds for the spyder (though we know Audi tends to be conservative with these numbers). The rear-wheel-drive RWS model, which was a value at just $138,700, sadly won't be offered in the 2020 model year. If you want more power, the V10 Performance Coupe and Spyder up the output to 602 hp and 413 lb-ft of torque and decrease the 0-60 times to 3.2 and 3.3 seconds respectively. The added performance comes at a cost of $195,900 for the coupe and $208,100 for the spyder. 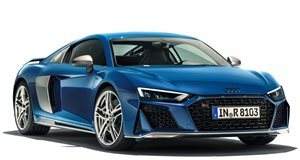 All 2020 R8 models have been refreshed with new front and rear fascias and are now offered with a new exterior color called Ascari Blue metallic as well as two new interior colors called Pastel Silver and Palomino Brown. V10 Performance models include 20-inch wheels as standard and carbon ceramic brakes with red or grey calipers. Those who want their R8 to stand out a bit more can pay $214,995 for the Decennium model. Only 222 examples will be built for the entire world with the last 50 - numbers 173 to 222 - coming to the US. The Decennium doesn't feature any performance upgrades but it does have unique bronze accents like the wheels and intake manifold. Audi has also designed a bespoke interior for the car with copper contrast stitching and 'Decennium' badges. Upon opening, the door will also project the 'Decennium' logo onto the ground, including the car's specific built number.